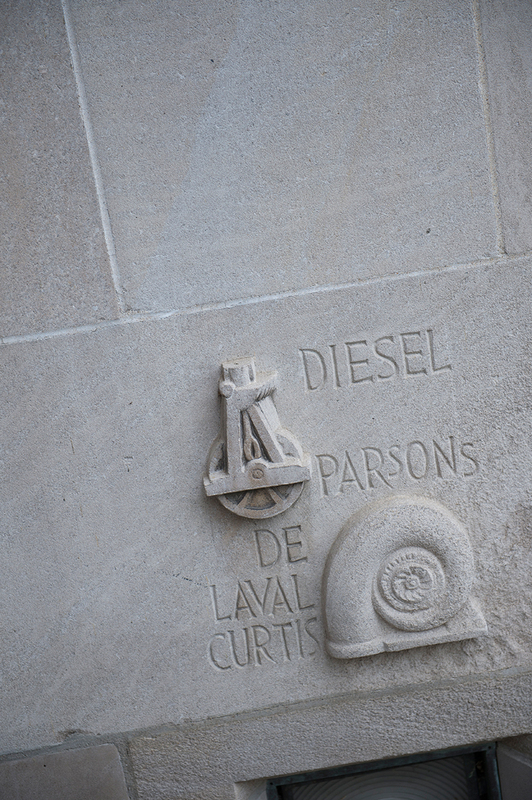 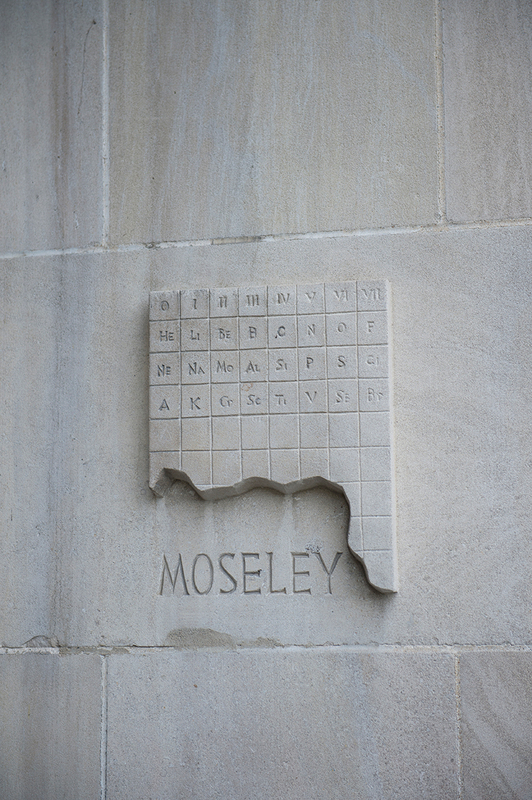 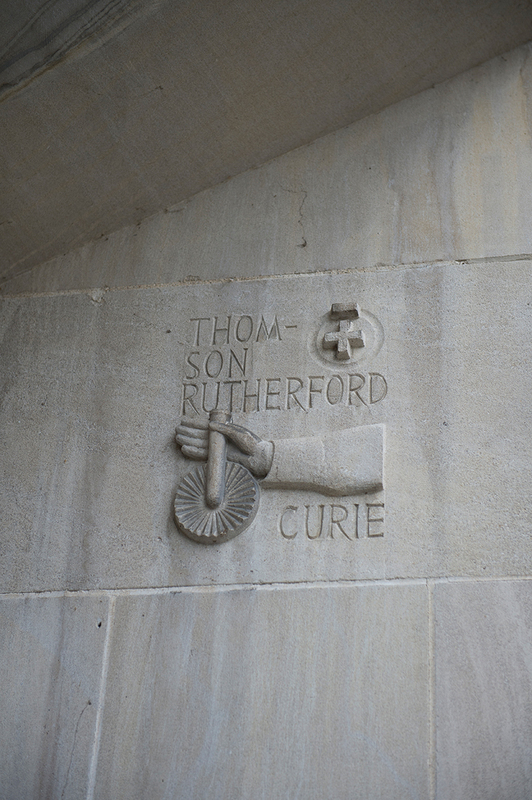 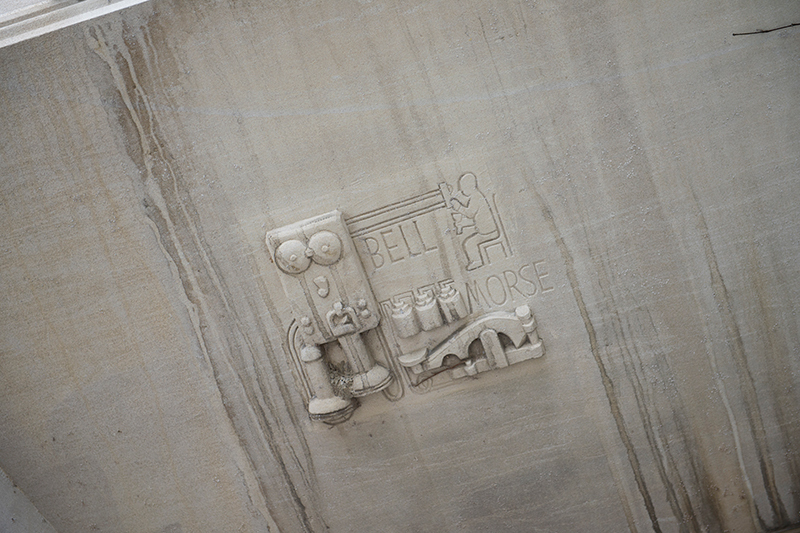 This bas-relief is one of dozens of images designed for the exterior of Northwestern’s Technological Institute by New Deal artist Edgar Miller (1899–1993). 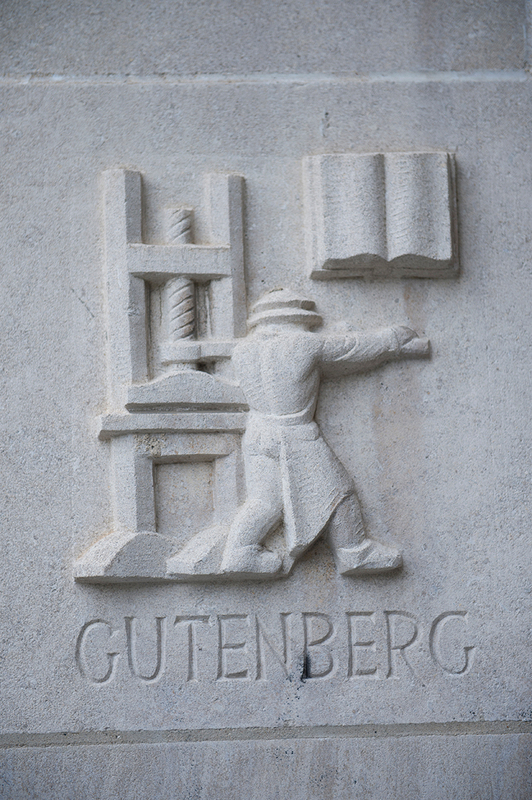 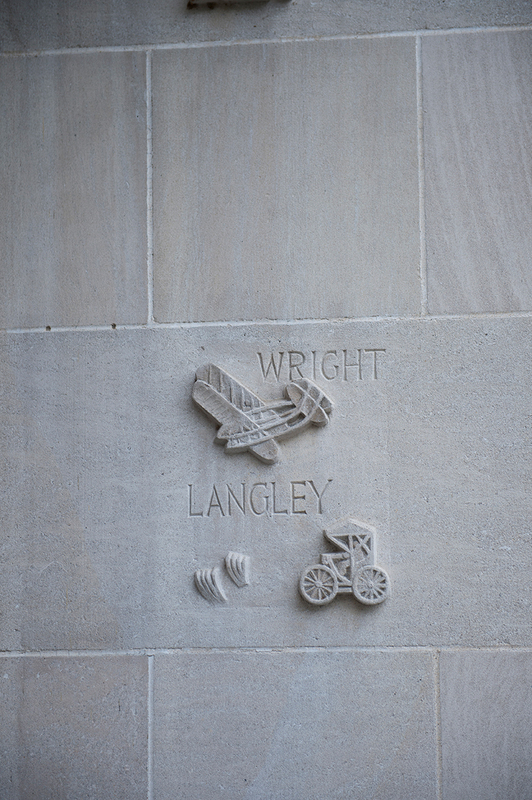 Carved in 1940 while the building was under construction, they celebrate “man’s ongoing efforts to conquer nature” and the achievements of those who have done so: Fulton and his steamboat, Gutenberg and his printing press, the Wright brothers and their plane. 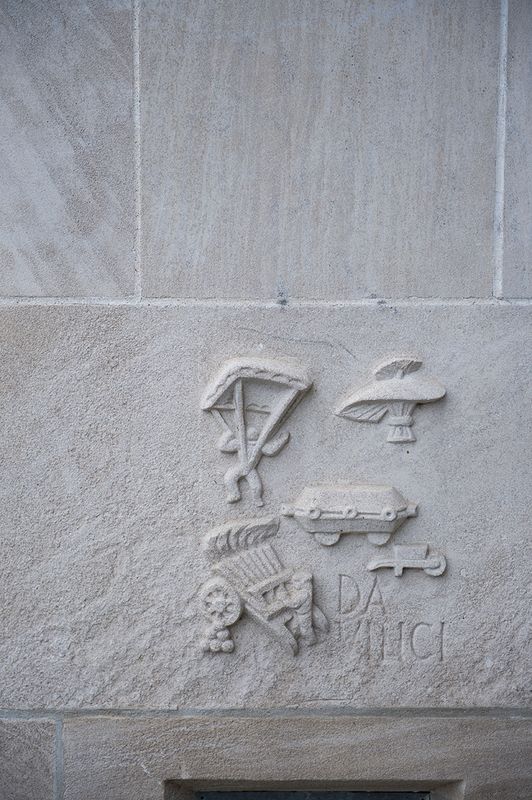 A prolific designer who worked in a wide variety of media, Miller was a founding member of the influential Old Town Artists Colony, which included contemporaries such as screenwriter Ben Hecht and poet Carl Sandburg. 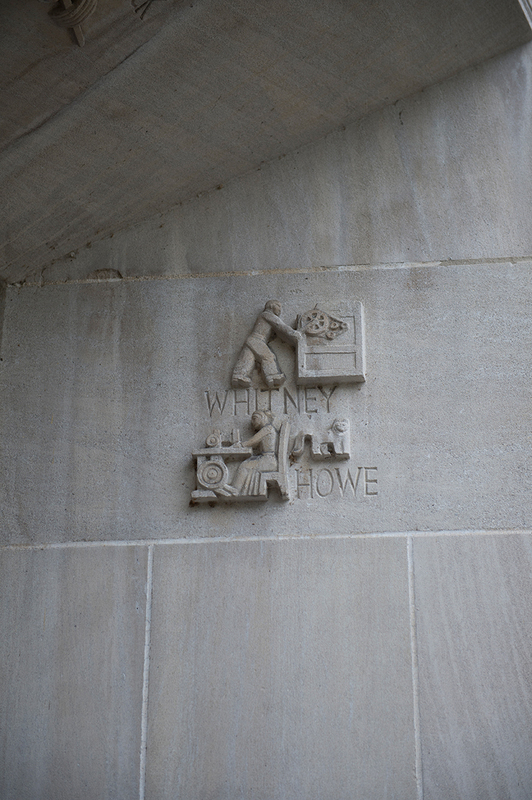 His work can be found in buildings across the country, including landmarks in Chicago’s Old Town neighborhood and in the murals adorning the Pabst Brewery in Milwaukee.